Let’s get off to a fast start. 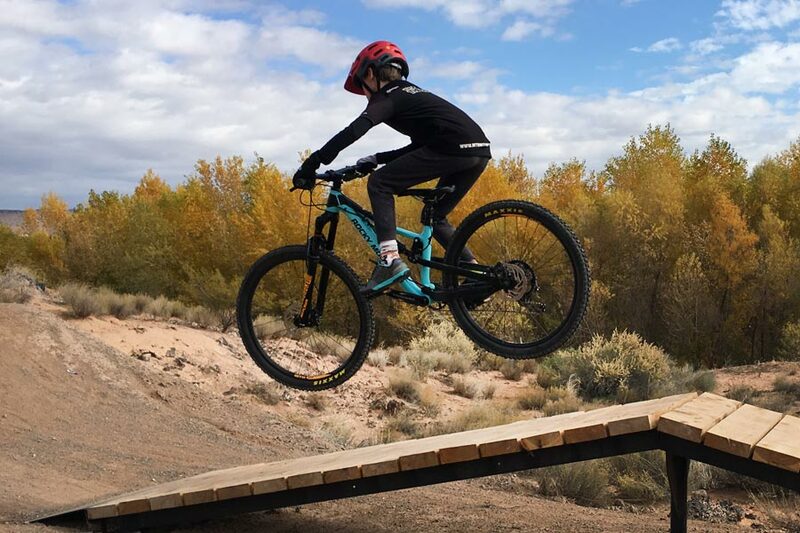 The full-suspension Rocky Mountain Reaper will fit kids with a standover height ranging from 22 inches all the way through 32 inches. How in the world is this done? 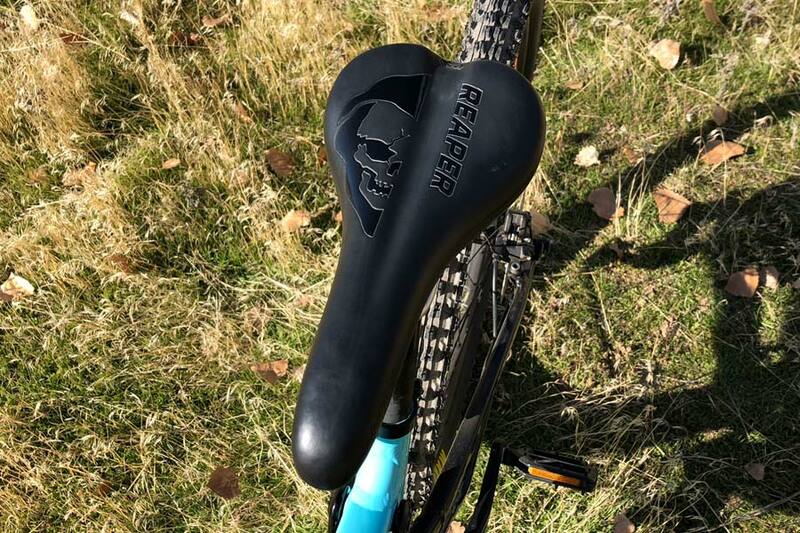 It’s feasible because the Reaper comes in three frame sizes specifically designed for junior mountain bikers. You can jump to this comparison chart and view standover heights, wheel options, and price. 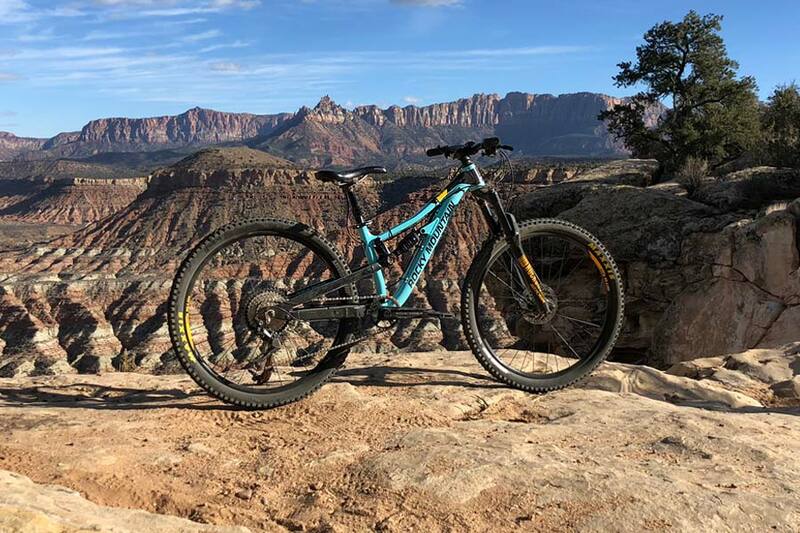 The bike we’ll be reviewing is the middle sibling – the Rocky Mountain Reaper 26. Our test rider is 12 years old, 60 inches tall, with a 28 inch inseam. 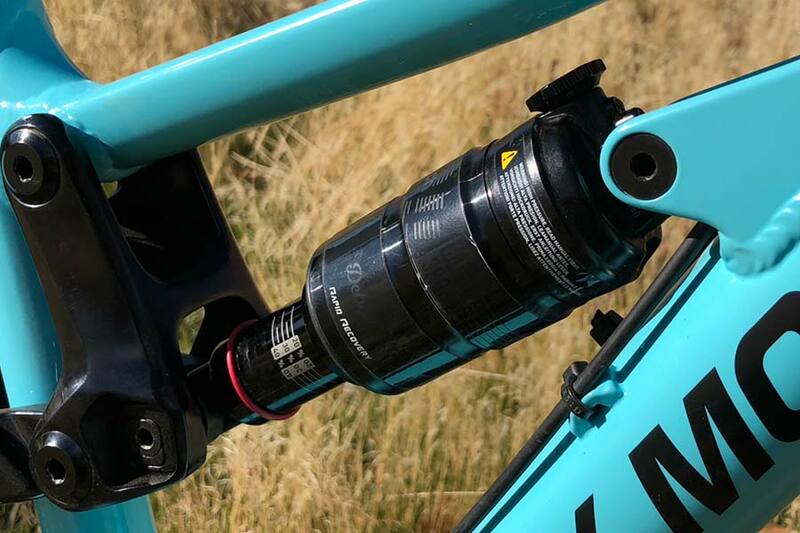 In addition to putting flat pedals on the bike, we added an external dropper post so he could max out his leg extension and put all of his stick man muscle on the cranks when we made him to ride uphill and go on longer rides. 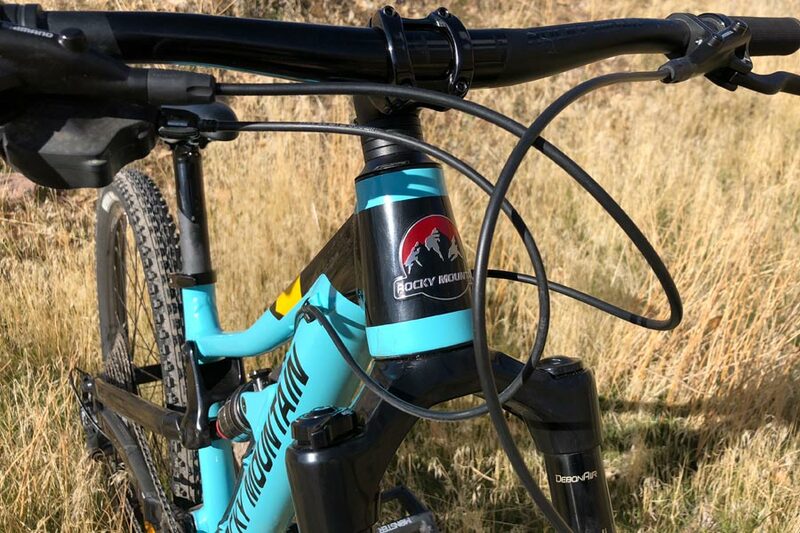 Even with the 3 frame sizes available for the Rocky Mountain Reaper, be sure not to size up and have your kid grow into a bike. If you’re still between bike sizes, we suggest going with the smaller size so the bike can be controlled and stopped safely. When you have a proper fitting Reaper, it allows your child to use all of the components as intended and focus on the fun. Here is what dimensions/angles are adjustable with the RIDE-9 adjustment system. As the name implies, the Reaper 26 comes with 26 inch wheels – but it’s also compatible with 24 inch wheels. That’s pretty darn clever. The spacing on the rear axle is 135mm so you can see if your kid’s old hubs are good to go. The Reaper also boasts the RIDE-9TM adjustment system. This allows subtle tweaks to the bike’s suspension and geometry with a couple of allen wrenches. Click here to view how the system works. Rocky Mountain has designated the settings as: Slack, Neutral, and Steep. Click on the chart thumbnail to enlarge the graphic and see all the numbers. To be exact, the standover height of the Rocky Mountain Reaper 26 ranges from 28.62in to 28.74 inches. The head tube angle in the middle “Neutral” position is 64.6º and can vary (+) or (-) 0.7º when adjusted. The wheelbase of the bike in the neutral position is 21.53in. 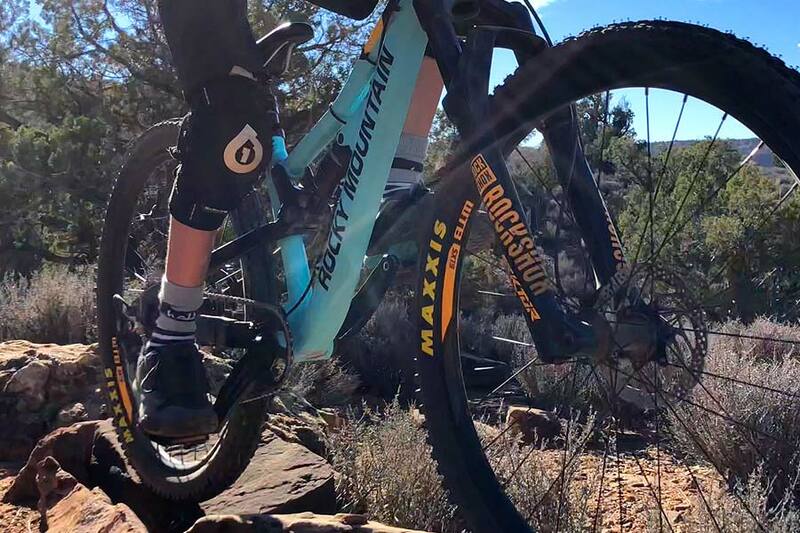 A RockShox Sektor RL 130mm fork smooths out the front end of the bike and a RockShox Monarch R shock helps keep bike’s rear end stable. Setting up the suspension was a cinch. Our rider weighs a mere 75 lbs with gear and we set the fork at just 60psi for technical riding. I don’t even think he ever locked out the fork when climbing. 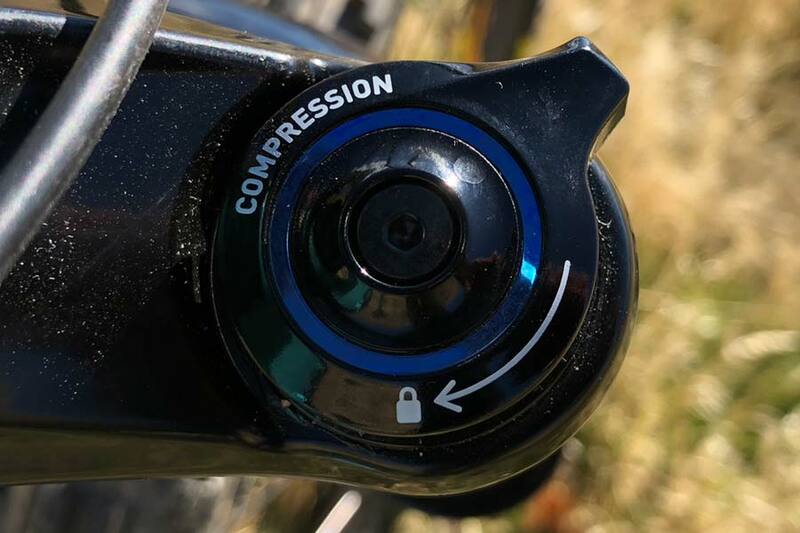 There are 6 settings for controlling compression on the top of the fork. We set the rear shock at 155psi and although you can’t lock it out, there are 11 settings for rebound damping. Rebound damping is the speed at which a shock re-extends after it’s compressed. 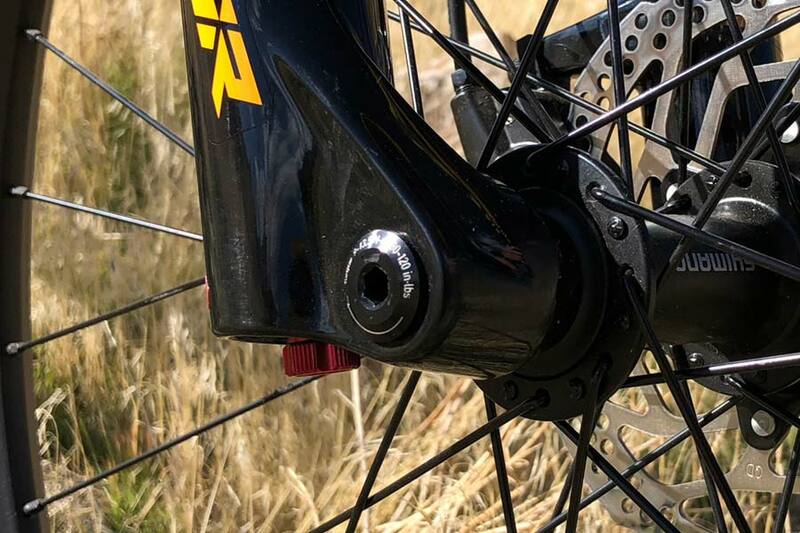 The combination of settings for RIDE-9 adjustment system, fork, and rear shock will allow suspension geeks to dial in the Reaper just right. 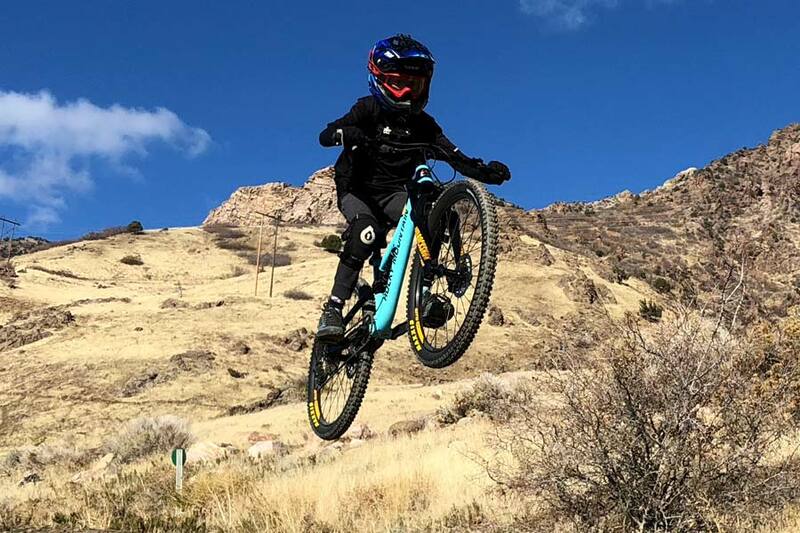 This is a great benefit if your kid is hucking big jumps in the bike parks, tearing up advanced technical trails, or just doing a bit of all-mountain riding. 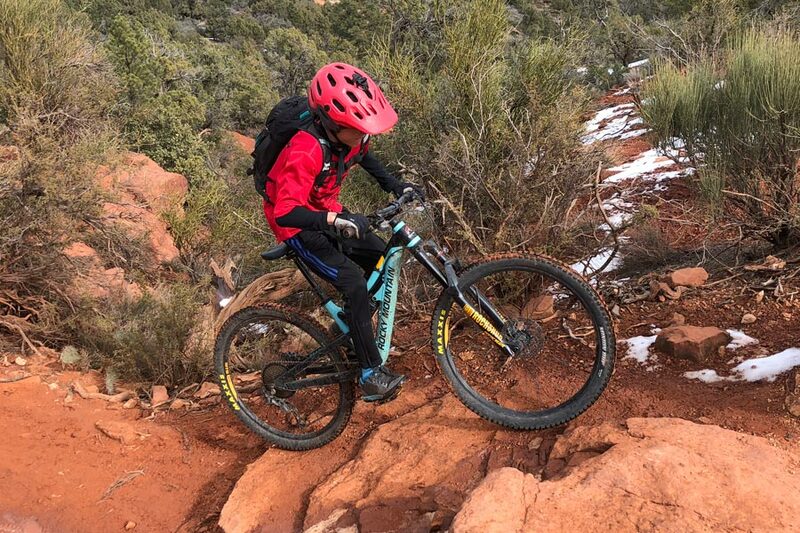 During our time on the bike, we just set it for our kid’s weight and did not touch anything over the span of weeks and several rides over all types of terrain. The frame’s linkage for the rear suspension is not over-designed and it functioned beautifully. 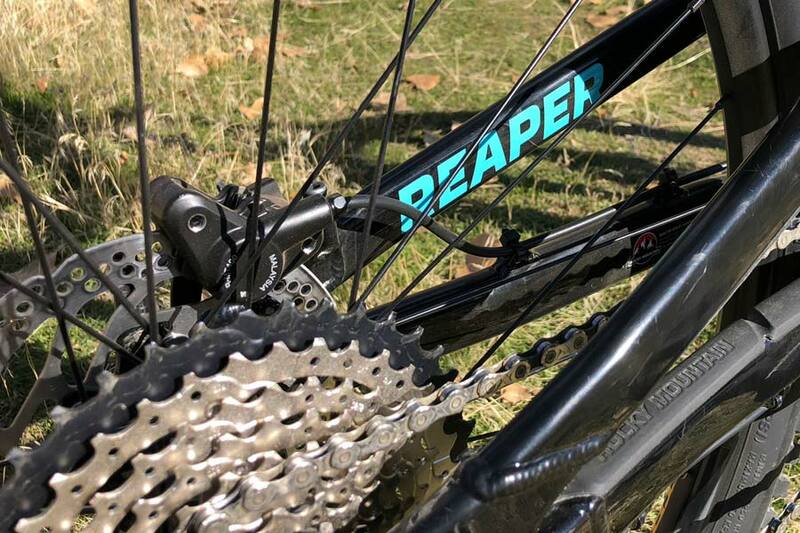 Because the Reaper 26 does not have a front-derailleur, the cockpit of the bike is clean and neat. The bars are 28.7in wide and our rider was comfortable with the reach. He was able to control the bike very well. The bike’s cables are externally routed and although some may think this is not optimal, we like this. It allows for easier DIY maintenance. The cables for the rear brake and derailleur run along the top of the down tube. The saddle is sized down appropriately and there is a quick-release seat collar for the 30.9mm seat post. We cannot fathom why any kids’ bike does not have a quick-release seat collar, but there are still a few out there. 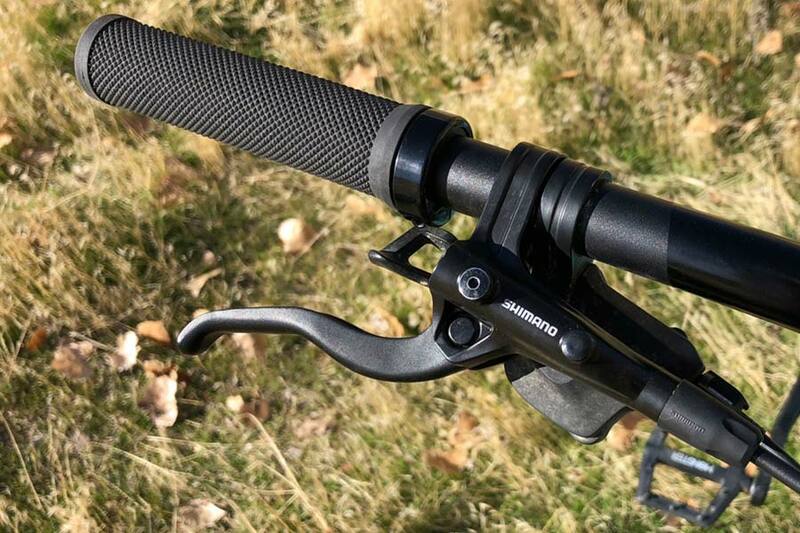 Shimano MT 400 hydraulic disc brakes make the Reaper 26 slow down and stop. 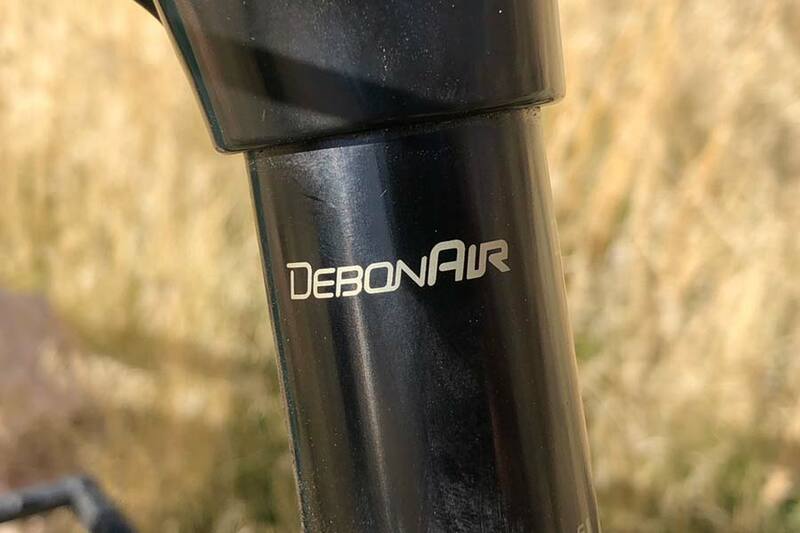 The drivetrain is made up of a Deore rear derailleur/shifter, Shimano HG-500 11-42T cassette, and a 165mm long Race Face crankset with 30T front chainring. WTB SX19 rims are laced to Shimano hubs; a MT400 Boost 15mm in the front and a TX505 hub on the rear end. The spoke count is 32 if you want to rummage through your parts box and see if you can do upgrades. As per our research the SX19 rims are not tubeless compatible. We have had success with DIY tubeless set ups on similar rims. The rear wheel has a quick release skewer. The front wheel has a thru-axel so to remove the front wheel, you will need a hex key. 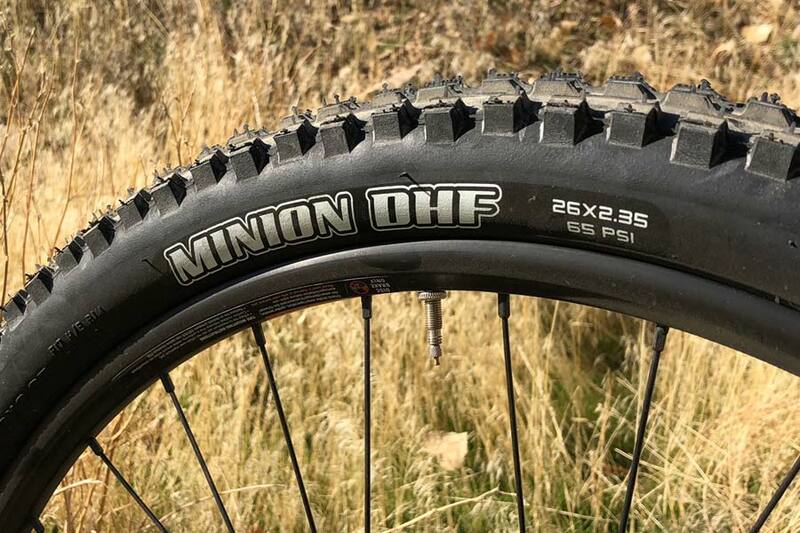 A set of Maxxis Minion DHF tires on our Reaper helped the wheels go round. Our rider was very excited to put the Reaper through its paces because the bike is designed for the rough stuff. 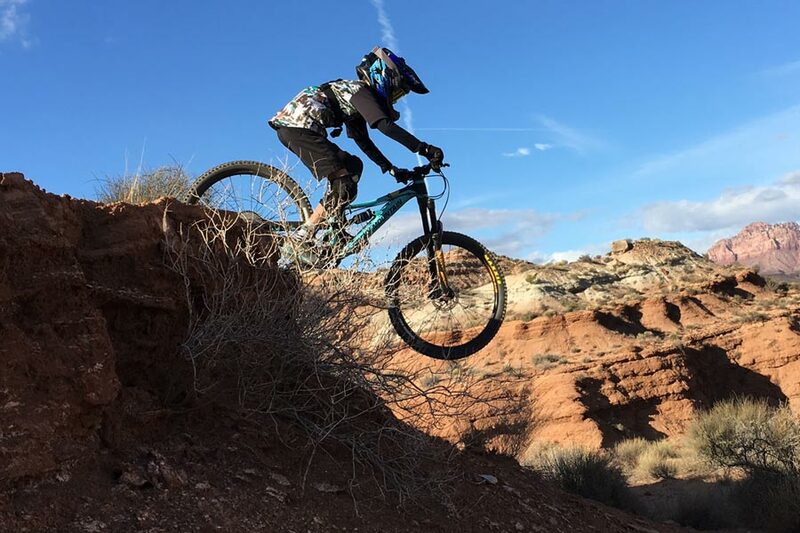 On chunky rides we made sure the fork was set to full send and the bike behaved like a boss. 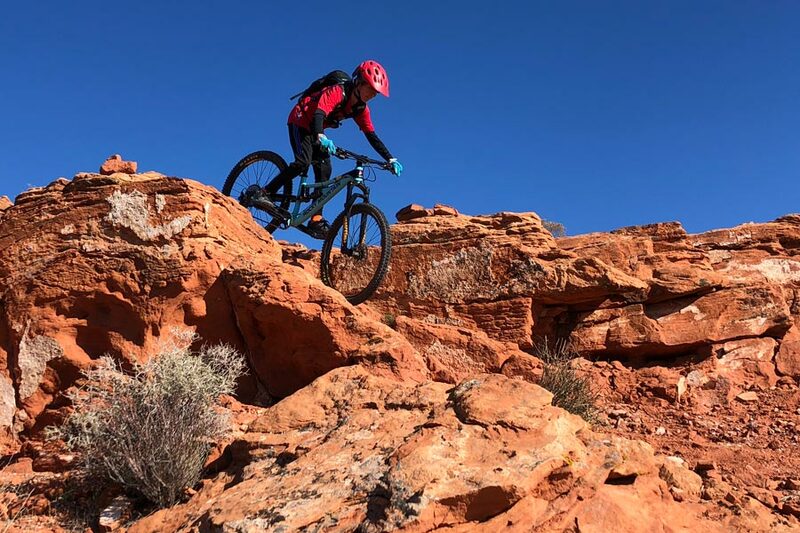 The wheelbase and geometry of the Reaper allowed it to tackle steep rock gardens and technical rock rolls without making our rider lose focus. On a very steep roll from a flat entry, I thought he could bash the chainring – but the bike cleared it without issue. 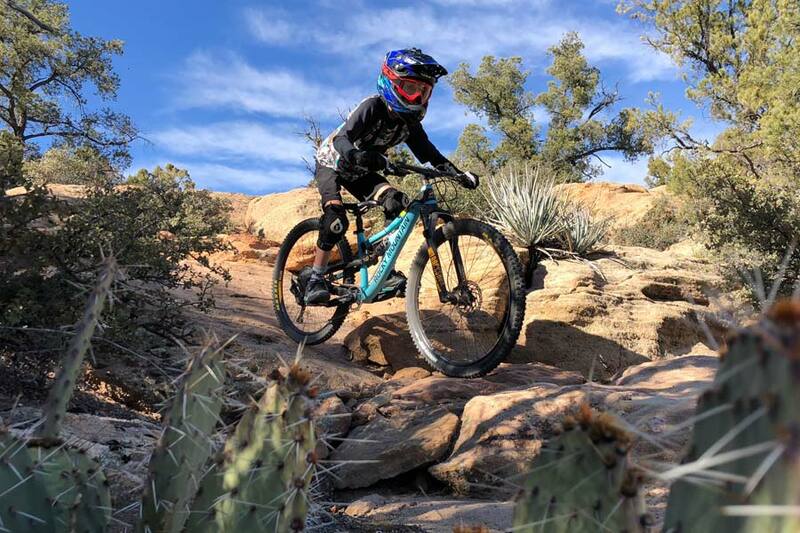 Our rider said, “The Reaper’s suspension and brakes let me ride the bike on tech without getting too tired.” Quality components make a difference. Using the tried-and-true bathroom scale method. Our bike set up with pedals and a dropper weighed in at 29.3 lbs. On a few technical ascents, we sessioned them until our rider was able to make the climbs. The 42 tooth rear cog on the cassette makes a difference when climbing. Our test rider was very impressed with how the bike fit him. 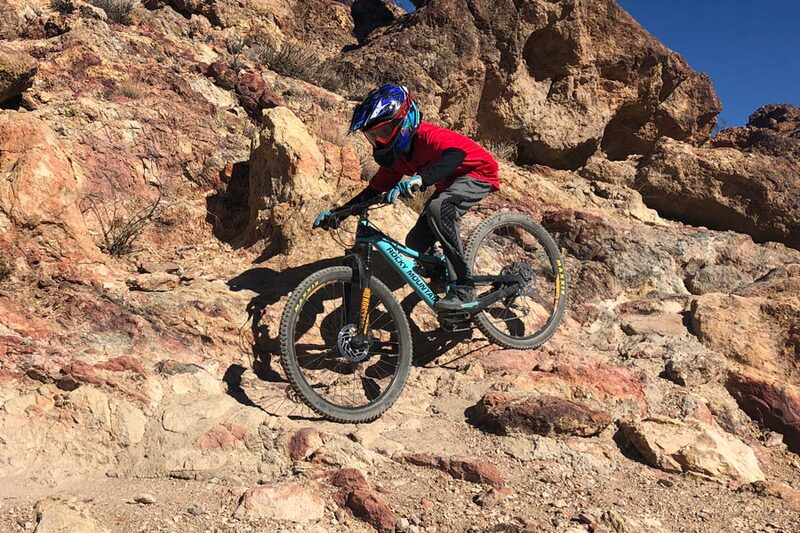 He was able to shift his weight to back of the bike when the terrain became steep and bumpy. 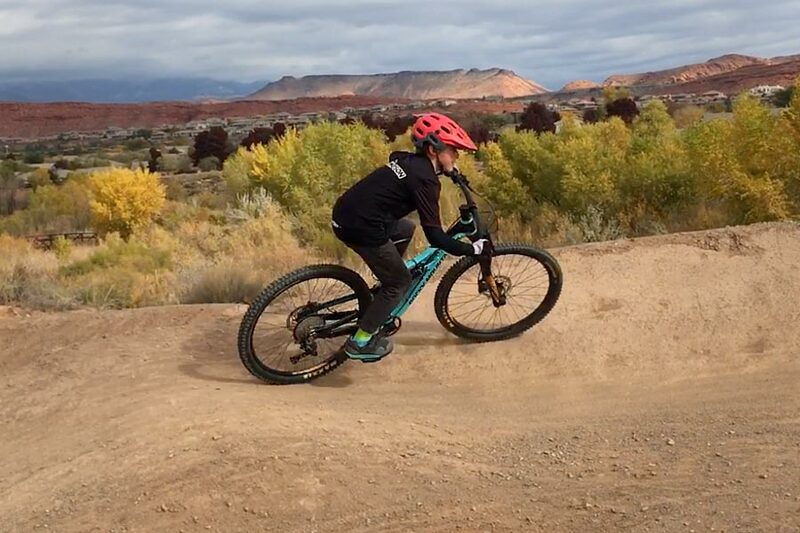 In corners, the bike’s frame size allowed our kid lean into the curves and let the tires do the work. The Reaper 26 is best suited for technical trail rides, bike parks, shuttle runs and downhill/enduro races. The factory build on the Reaper provides for a wonderful riding experience. 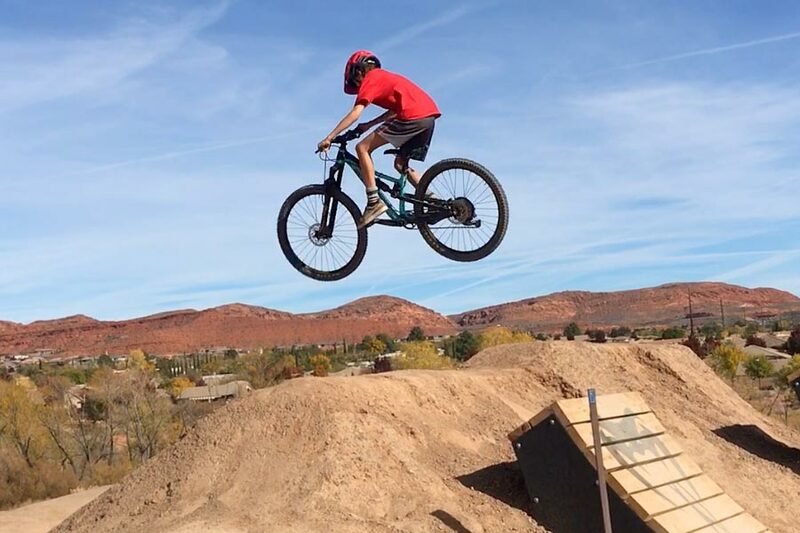 At the Snake Hollow Bike Park in St. George, Utah – our guy was able to smoke the jump lines and a few advanced features with ease. 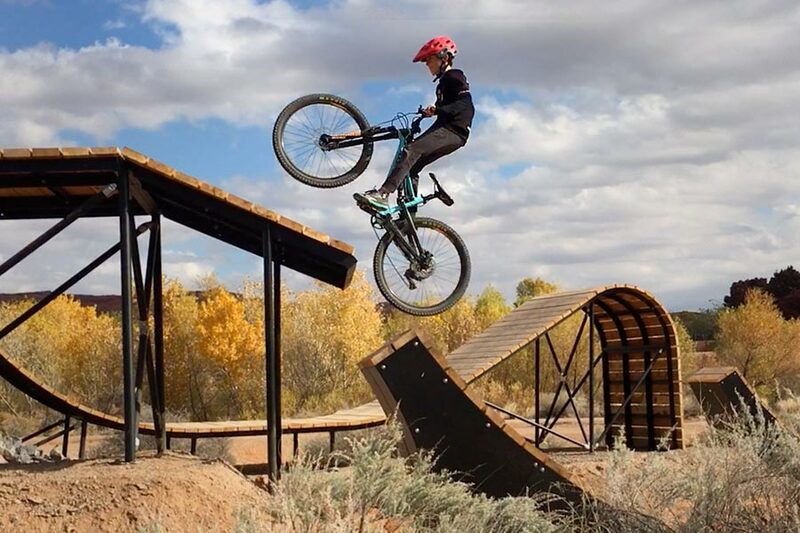 Where the bike’s weight could be a factor on longer pedals, it was a benefit in the jump park. 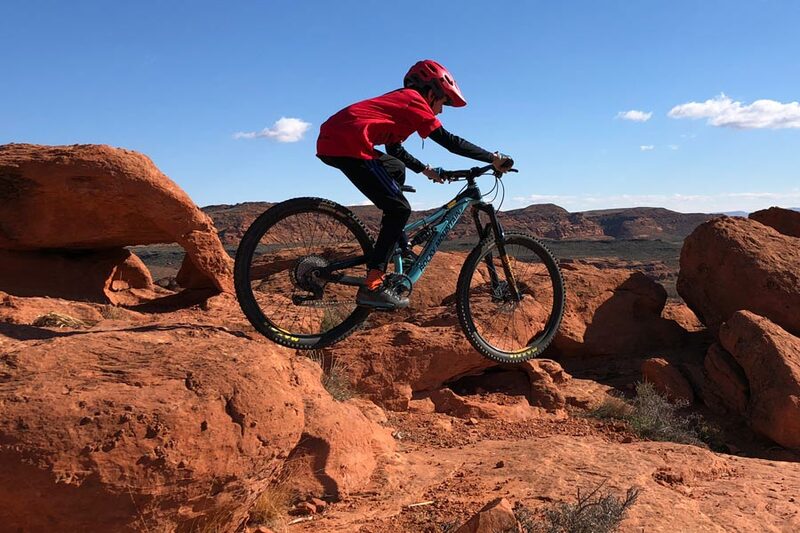 The Rocky Mountain Reaper 26 is a purpose built mountain bike for kids who like to get rowdy. 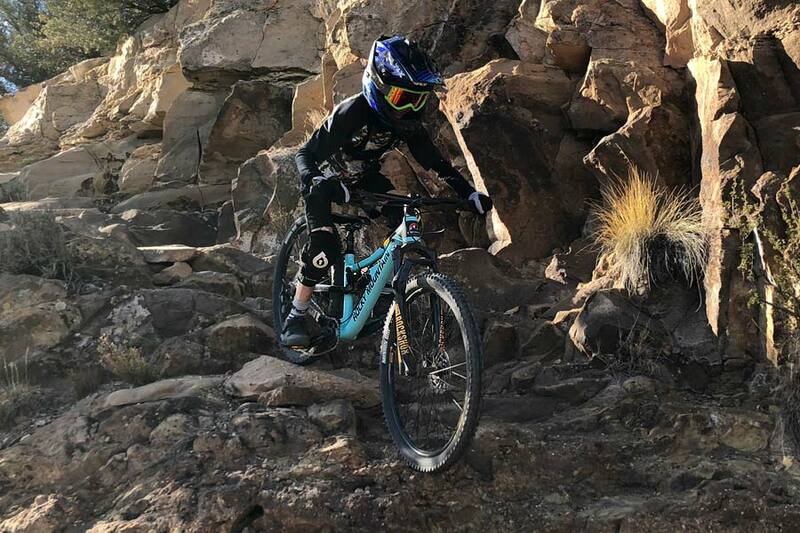 The proprietary RIDE9 frame system and RockShox suspension package are eager to be on the rocks and in the air where hard landings from advanced jumps and drops are the modus operandi. 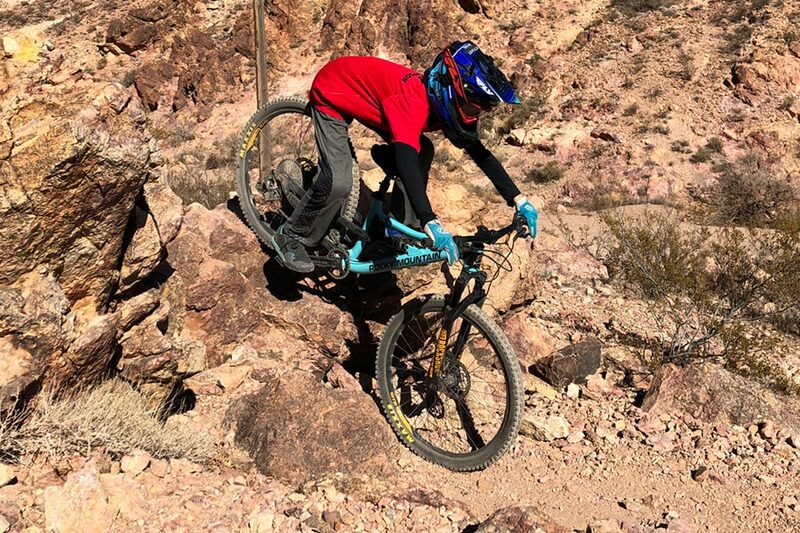 When climbing, the Reaper is more than capable for getting everyone out together on technical rides where a full-suspension bike for the kids is the weapon of choice. Do your research, look at the numbers, plan your rides. Are you more likely to be out on cruiser laps through the neighborhood and 20+ mile XC rides? Or, is a season pass for the bike park and enduro racing in your young one’s future? If your schedule is geared towards the latter, the Rocky Mountain Reaper is going to make your kid very happy.